STALLS & FRIDAY SESSIONS/EXHIBITIONS will go on sale at this time. You should be prepared to either mail a check or pay by CC at the time of entry. An entry is not final until payment is received and we will not "hold" your stalls, sessions, exhibitions, etc., without payment. 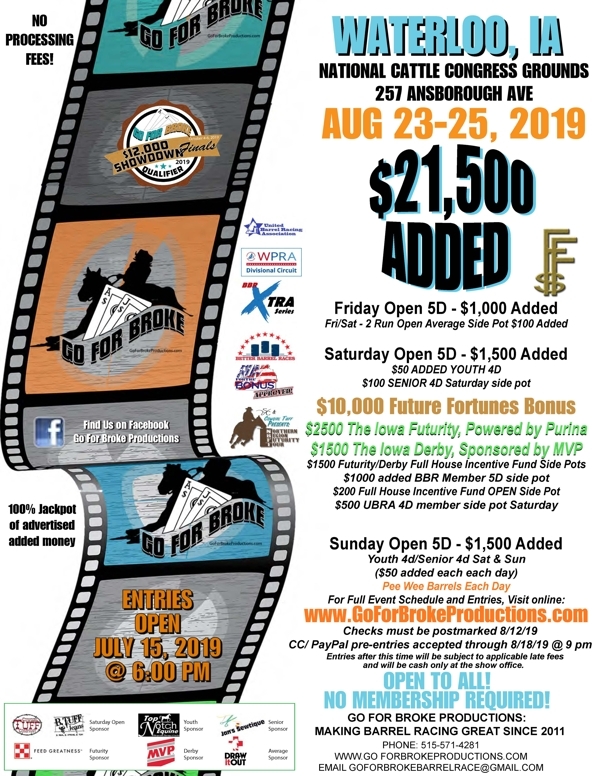 Futurity/Derby entries (paid in FULL) must be postmarked 8/12/19 or you mail pay be CC (credit card fees will apply) through 8/18/19 @9pm. 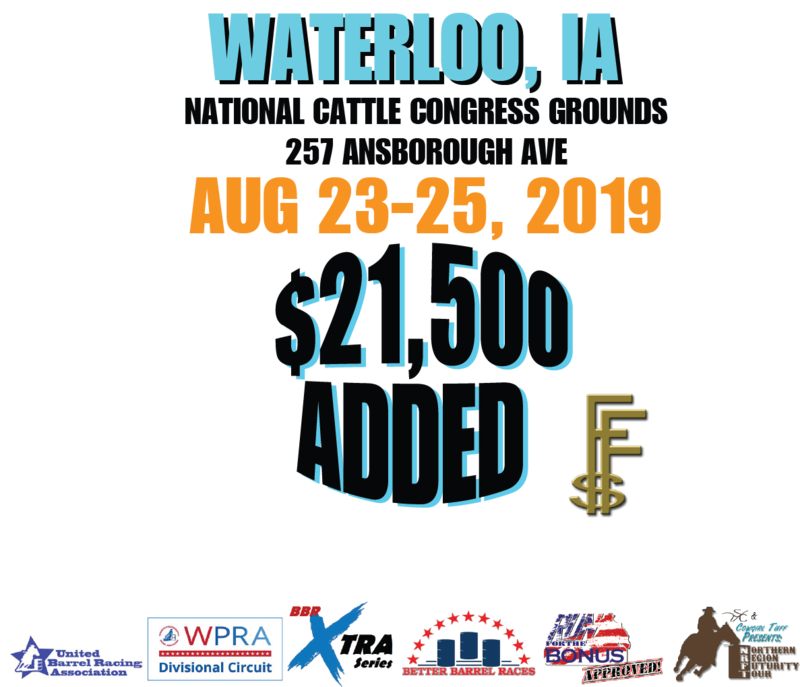 Entries made after that time will be subject to any applicable late fees.